Tesla’s constantly shifting approach to its lineup and retail strategy has rattled investors and stoked confusion. 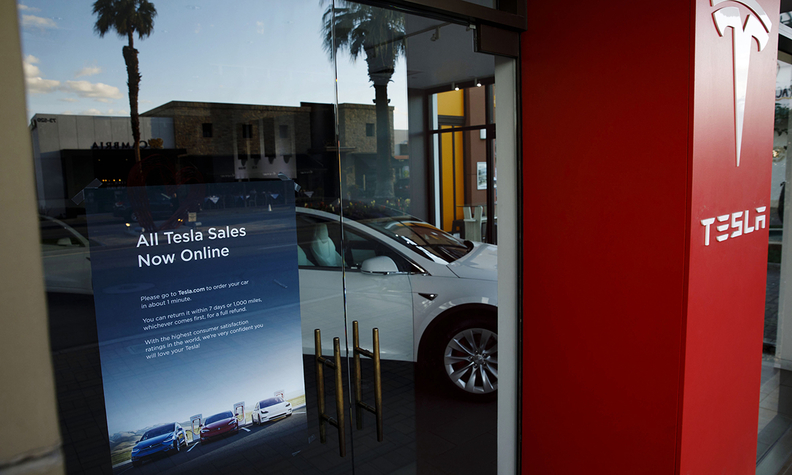 SAN FRANCISCO -- Tesla Inc. announced changes to its vehicle lineup and pricing, including ending online sales of the bottom-of-the-range $35,000 car, in an effort to drive demand after disappointing first-quarter deliveries. And a standard Model 3 costing $35,000 just became harder for customers to actually order. Deliveries of that version of the vehicle, which was the big promise of the Model 3 when it was first unveiled in March 2016, are just beginning this weekend. Now Tesla’s taking that model off the online menu and says it is only making the vehicle available as an off-the-menu option at stores. "After years of being a media and enthusiast darling, Tesla is now facing a reckoning," Jessica Caldwell, executive director of industry analysis at Edmunds, said in a statement. "Between the cost cuts, waning demand for its vehicles and now making the $35,000 Model 3 much harder to buy, the company is now quietly realizing it has to play by the same rules as every other automaker." "Tesla was the one who decided that $35,000 was the magic number for an affordable EV. The company backed itself into a corner by making such a big deal about the Model 3 being that exact price without knowing exactly how they were going to do it. Because most Tesla buyers opt to pay extra for all the high-tech features, this likely won’t have a huge impact on Model 3 sales, however, it does deliver another tough blow to the company’s reputation." Customers in the U.S. will now be able to lease the Model 3, but will not have the option to own the car at the end of the lease because Tesla plans to use the cars in a forthcoming "Tesla ride-hailing network," Tesla said in its blog post. CEO Elon Musk first talked about his vision of a Tesla fleet for sharing when he unveiled his Master Plan Part Deux in July 2016. Tesla shares fell 0.3 percent to $267.70 on Thursday whole the Dow Jones industrial average gained 1 percent.